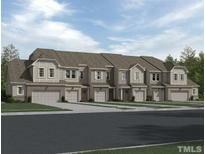 Below you can view all the homes for sale in the Ellis subdivision located in Durham North Carolina. Listings in Ellis are updated daily from data we receive from the Raleigh multiple listing service. To learn more about any of these homes or to receive custom notifications when a new property is listed for sale in Ellis, give us a call at 919-759-5468. Known for their energy-efficient features, our homes help you live a healthier and quieter lifestyle while saving thousands of dollars on utility bills. MLS#2246877. 3037. Must close on or before 5/25/3019. MLS#2245685. 2826. Known for their energy-efficient features, our homes help you live a healthier and quieter lifestyle while saving thousands of dollars on utility bills. MLS#2243037. 3037. Known for their energy-efficient features, our homes help you live a healthier and quieter lifestyle while saving thousands of dollars on utility bills. MLS#2243093. 3037. Known for their energy-efficient features, our homes help you live a healthier and quieter lifestyle while saving thousands of dollars on utility bills. MLS#2243041. 3037. Known for their energy-efficient features, our homes help you live a healthier and quieter lifestyle while saving thousands of dollars on utility bills. MLS#2242514. 3037. Known for their energy-efficient features, our homes help you live a healthier and quieter lifestyle while saving thousands of dollars on utility bills. MLS#2242556. 3037. Known for their energy-efficient features, our homes help you live a healthier and quieter lifestyle while saving thousands of dollars on utility bills. MLS#2242546. 3037. Known for their energy-efficient features, our homes help you live a healthier and quieter lifestyle while saving thousands of dollars on utility bills. MLS#2239175. 3037. Known for their energy-efficient features, our homes help you live a healthier and quieter lifestyle while saving thousands of dollars on utility bills. MLS#2237080. 3037. Known for their energy-efficient features, our homes help you live a healthier and quieter lifestyle while saving thousands of dollars on utility bills. 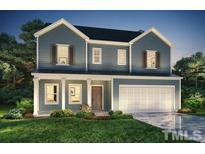 MLS#2237088. 3037. Known for their energy-efficient features, our homes help you live a healthier and quieter lifestyle while saving thousands of dollars on utility bills. 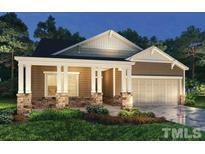 MLS#2231710. 3037. *1160s.feet plus additional 380s.feet ask details MLS#2230636. 2931. Known for their energy-efficient features, our homes help you live a healthier and quieter lifestyle while saving thousands of dollars on utility bills. MLS#2228504. 3037. Known for their energy-efficient features, our homes help you live a healthier and quieter lifestyle while saving thousands of dollars on utility bills. MLS#2228510. 3037. Known for their energy-efficient features, our homes help you live a healthier and quieter lifestyle while saving thousands of dollars on utility bills. MLS#2223448. 3037. Ask us about our Environments for Living certification MLS#2223312. 2826. Up to $8000 towards closing costs wit preferred lender and attorney. 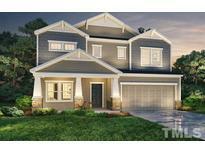 MLS#2222789. 2826. Must close on or before 4/30/3019. MLS#2214182. 2826. Ask us how to save money with our EFL energy efficiency, and closing costs. MLS#2214065. 2826. Ask us about our Environments for Living certification. MLS#2214117. 2826. Ask us how to save money with our EFL energy efficiency, and up to $8000 to use as you choose towards closing costs! MLS#2202771. 2826. Known for their energy-efficient features, our homes help you live a healthier and quieter lifestyle while saving thousands of dollars on utility bills. MLS#2196248. 3037.